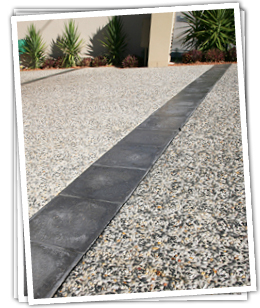 Parker Concrete is a well established Perth company specialising in decorative concrete driveways, including exposed aggregate and liquid limestone. 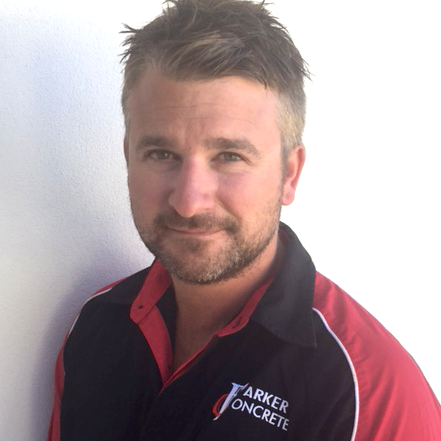 With over 20 years of solid experience in concreting, Parker Concrete has significant knowledge and practical expertise to offer professional advice on all of your concreting needs. 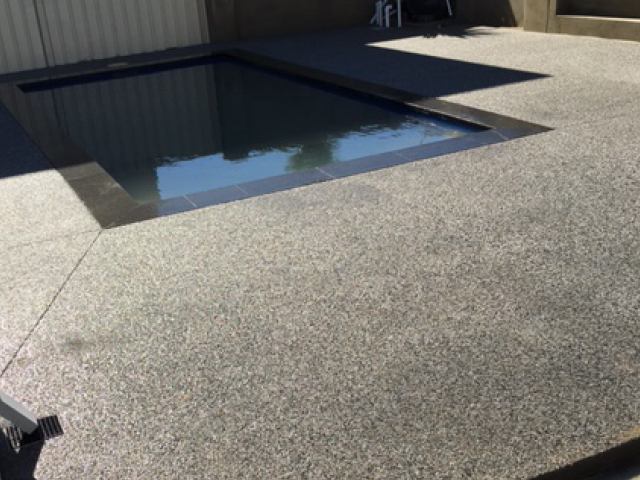 Whether you’re after a new exposed aggregate concrete driveway, a liquid limestone pool surround, footpaths or perhaps a patio, we offer quality services with a high degree of workmanship. Exposed aggregate is an attractive alternative to ordinary cement; it’s a mixture of natural looking coloured cement and small stones that will enhance the appeal of most homes. Exposed aggregate allows for a fantastic look whilst remaining extremely durable and skid resistant in comparison to ordinary concrete. To enhance the aesthetic appeal of concrete driveways to harmoniously fit in with your garden and your home, its important to choose the right concrete. 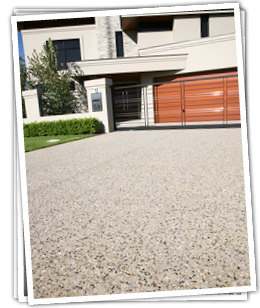 Exposed aggregate is the most popular choice for concreting Perth driveways and other areas around the home due to its appealing natural look. Parker Concrete offers 30 different exposed aggregate concrete combinations to choose from, so you can find the right match for your home. Liquid limestone is a combination of crushed limestone and cement that pours like cement but will achieve a stylish limestone look once grout lines are imposed. 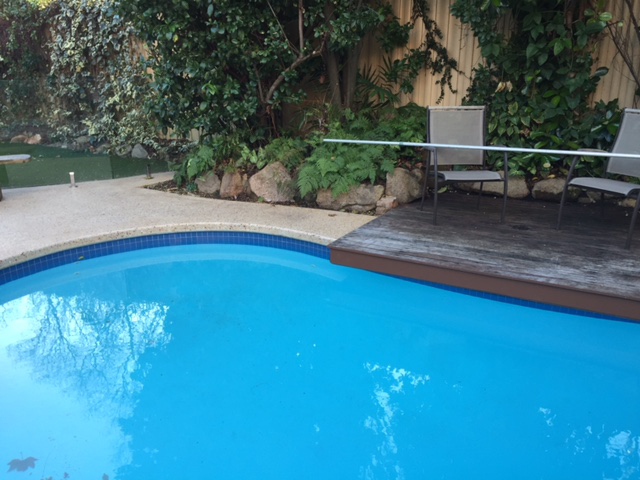 Liquid limestone is an affordable way to achieve a fantastic limestone look for anywhere around the home particularly around pools. Liquid limestone is durable enough for a driveway so you won’t have to worry about weeds or ants undermining it, nor will you have mould build up, due to a specialised sealer used. However, inferior liquid limestone workmanship can really create a poor aesthetic finish that will not look enough like limestone. 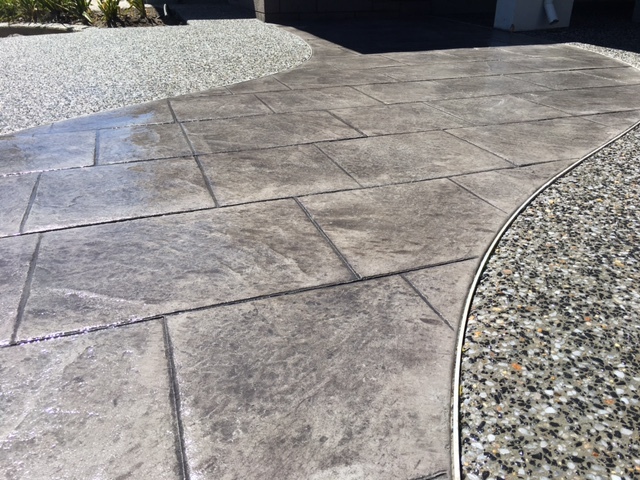 Parker Concrete take the time to make every job perfect by ensuring that each segment has a natural limestone look. For liquid limestone that really enhances the mood and vibrancy of your home, choose a company with experience – choose Parker Concrete. 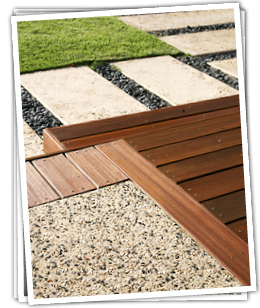 If you are deciding on renovating your outdoor space, why not let Parker Concrete assist with the prep work. Our services can include earthworks, bobcat excavation, drainage and soak wells. We can help design to your taste, budget and lifestyle. Founded back in 2006, Parker Concrete has established itself as one of the greatest and prestigious providers of concrete focused services. "I can't recommend Parker Concrete enough. Very professional team from the start to finish. Amazing job. Goodbye brick pavers hello exposed aggregate." "We were after a quality job and we got it." "Were so happy with our driveway! It has completely changed the look of the front of the house, we wish we did it years ago! So happy with the result and the look." "We have just had our front yard completely transformed with the guidance and expertise from Lucas and the team at Parker Concrete. A massive 110m2 driveway plus garden edging all in exposed aggregate with not one stone out of place including a beautiful slate inlay to break it up (which was Luca's idea) and complements our existing feature wall of the house. Having been in the building industry myself for 17 years, to deal with someone that brings complete professionalism, integral communication and an extreme high level of workmanship from start to finish, was an absoute pleasure with no stress or impact on our busy life. In our opinion we think we have the best driveway in Perth and would highly recommend Parker Concrete to anyone! "‘Thank you for the professional approach to our works it was a pleasure dealing with you & your team. The recommendation from our business partner to utilise Parker Concrete on our new home was definitely worth it. Lucas & his team were very accommodating & courteous to our requirements. We are extremely pleased with the fantastic result and finish of our driveway & paths and will have no hesitation recommending Parker Concrete to friends & family, and hopefully we can carry out some future works with QB."